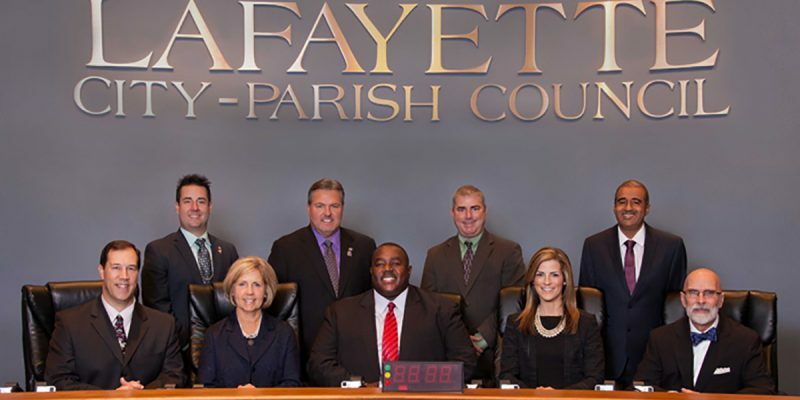 The Lafayette city-parish council is set to vote tonight on whether or not it will “de-consolidate,” meaning it will decide whether or not the City of Lafayette should continue running the parish. The options are to continue to do so under the Lafayette Consolidated Government structure or to put a new structure forward to the voters. Currently, the city – which, admittedly, geographically takes up the bulk of the parish – pretty much has full say over parish matters, including matters pertaining to municipalities that are not Lafayette. The idea right now is that the City of Lafayette would form its own city government and still house a parish government. It’s not a novel idea by any stretch of the imagination. Most places do work like this. The question is if the switch would be the correct one. For the record, I worked with a charter council in Natchitoches Parish when it switched from a police jury form of government to a parish council form. The police jury, still used by many parishes, is pretty outdated and often has too many captains for one ship. Natchitoches Parish currently has a system that Lafayette Parish could be putting forward to its voters. The City of Natchitoches has its own council and mayor, and the parish has a council and parish president. Of course, the geography does come into play. Natchitoches Parish is huge, land-wise, and the City of Natchitoches does not take up that much of it (despite it being by far the largest municipality in the parish). The City of Lafayette, meanwhile, is pretty large with respect to the parish borders. Generously, roughly half of the parish can refer to itself as the City of Lafayette (but it’s debatable). But, there are a number of smaller communities within the parish that are vastly underrepresented in parish government. These municipalities operate on their own, and then have to take dictates from the parish. The city of Lafayette gets to decide those dictates, under the current system, and it works to the detriment of the smaller communities. If the parish council votes tonight to de-consolidate, it would be the right move. However, the end result cannot be essentially what we have now, plus more politicians on the taxpayer dole. The proper process here is ideally long and arduous, but naturally, that won’t play well with voters. You need time for the non-Lafayette cities to incorporate the unincorporated areas. As of 2016, the city has a population of 127,626. The parish has four other cities – Scott, Carencro, Youngsville, and Broussard – and the town of Duson (which is split between Lafayette and Acadia Parishes). The remainder of the parish includes fifteen unincorporated communities. So, you let Scott and Carencro and the others essentially divvy up the remaining communities in an official capacity. That’s the start of balancing out the City of Lafayette’s power over the rest of the parish. Lafayette won’t like that answer, but it’s going to come down to balance. My preferred solution would be an equal split (for the sake of argument, let’s say five representatives for Lafayette and five for the non-Lafayette communities), and a parish-wide president. Their whole job would be to look at parish-wide issues. The city of Lafayette will also get its own city council and mayor, who will vote exclusively on city issues.